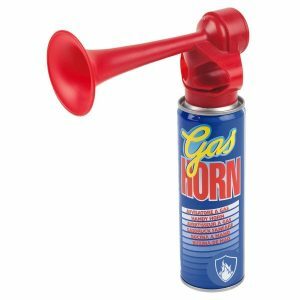 Hand held air horn for raising the alarm or hazard warning. Also useful for fire drills and evacuations. 110Db allowing it to be heard up to 1500m away.